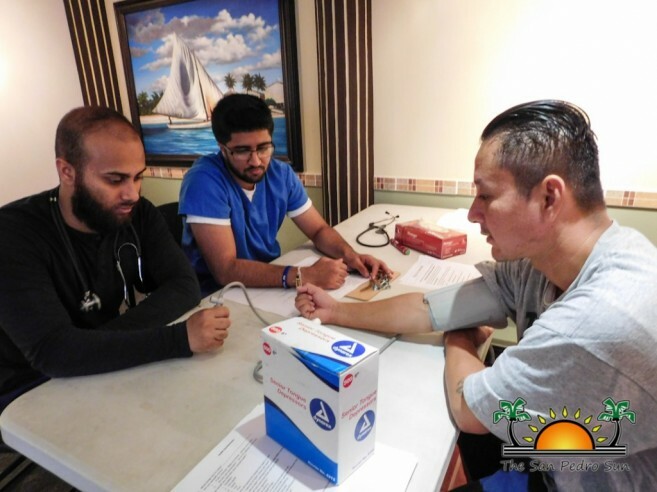 MedCorp’s medical team of Washington University of Health and Science commenced their free health screenings on Saturday, November 19th, and they are encouraging the community to be a part of this “Community Needs Assessment”. The purpose of these screenings is to gather important health related information in San Pedro, while improving the standards of the Ministry of Health (MOH). 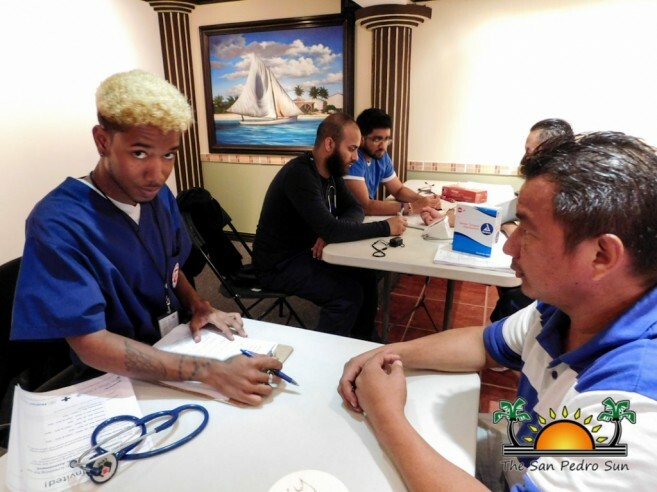 So far, MedCorp has screened more than 30 persons, and is offering blood pressure, glucose, and temperature testing, and diagnostic evaluation. The evaluation helps the medical team validate any illnesses, and collects data about the patient’s: skin, eye, respiratory, cardiovascular, gastrointestinal, musculoskeletal, neurological, neck, and psychiatric status. After being evaluated, and if anything is found abnormal, NanoMed Corp will refer patients to the polyclinic. Asim Khan of NanoCorp gave The San Pedro Sun feedback from the data collected over the past two days. “What we learned from these patients is the lack of understanding of what options are available to residents. We had noticed a trend in the types of illnesses, including, hypertension, obesity, HIV/AIDS, and cataracts. In the next five weeks, we are hoping to achieve collecting this data for the MOH. Then, the MOH will be able to better service the island community by stocking the polyclinic appropriately and making sure the staff is properly trained to accommodate these illnesses,” said Khan. Since there is no formal database for the MOH, MedCorp is hoping to establish a baseline of health. “By gathering this information, we can help improve the health of others by implementing measures to prevent the prevalence of these chronic diseases. These are illnesses are being faced in the community, and we hope that through education, the community will be able to make smarter decisions when it comes to their health,” said Khan. 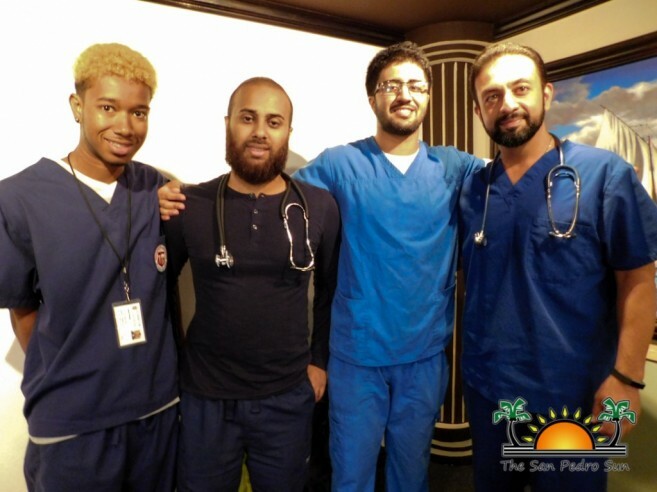 Due to lack of resources, and because the team is comprised of four medical experts, the screenings are limited to only San Pedro, but once logistics are sorted, the team aims to volunteer in Belize City. MedCorp will continue to assist the MOH by giving them recommendations and medical advice. MedCorp thanks Dr. Javier Zuniga, Mayor Guerrero, Patty Verde, and the community for allowing them to make a difference in San Pedro.